Trust the experts at Legends Roofing for quality roof repair and installation for your home. Call today! 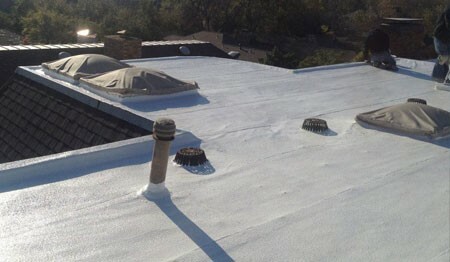 Legends Roofing provides many quality roofing materials for commercial roof repair and installation services. Protect your home and foundation with excellent rain gutter repair and installation services from our team of professionals. Meet our group of professional roofing contractors who work around the clock to give you better roofing services. Are you experiencing leakages from roof damage? 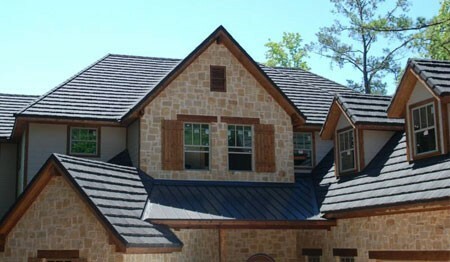 Are you looking for a skilled and certified roofer in Dallas, TX? Talk to one of our expert roofing contractors at Legends Roofing. We have the experience, knowledge, and workmanship to handle your roofing repairs, roof replacements, and roof restorations. Our roofers are fully equipped and highly skilled in all facets of commercial and residential roofing. Whether it’s a roof leak repair or roof restoration, call our roofing contractors today for all your roofing needs. With Legends Roofing, you’ll receive the best contract work and advice for your next home improvement project or commercial development. Call 214-321-3293 now to get the job done right with help from an experienced roofer. We work to satisfy all of our customers with astonishing results. To do this we use the latest technology, the newest methods, and put the best workers on the job. With Legends Roofing, you can be sure you’ll receive great roof work that provides long-lasting protection for your home. Our team goes to great lengths to ensure safety and satisfaction of our customers. We provide solutions with roof repairs, restorations or replacements based on your needs. If you’re afraid your roof needs a repair due to leakages and property damage, we can investigate the problem and find ways to make your roof like new again. Roof repairs and regular maintenance are important when you’re trying to keep your home in good shape. To take the best care of your home, hire your local roofer who will stop at nothing to provide safety and satisfaction. A skilled roofer at Legends Roofing will perform regular roof maintenance, periodic inspections and take care of roof damage before you know it’s broken. This is how we ensure all of our roofing customers keep a reliable roof over their heads. Without a certified and trained roofer working on your roof, your home can suffer from water damage as the result of unaddressed roof damage. Householders and business owners without regular roof care experience roof leaks that cause mold growth in walls and lead to further damage. Over time these damages will affect your foundation and the repairs will be costly. Call a professional roofer with Legends Roofing at 214-321-3293 to prevent expensive damage to your property. Trust a residential roofer with Legends Roofing to take care of your roofing maintenance, repairs and more. 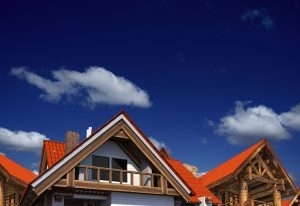 Hire residential roofers after a storm, a natural disaster or when your roof begins to age. All roofing types have different age limits, so it’s important to know how old your roof is and the signs of needing roof repairs or replacements. Residential roofing services with Legends Roofing include regular maintenance repairs and roof work, so you can rely on our experts to know what your roof needs at all times. We provide you with a fantastic roofing service that keeps your roof in the best quality from the time it’s built until it’s time to replace. If you’ve had to replace multiple roof shingles or you’re fed up with constant roof maintenance that doesn’t seem to maintain your roof, it’s time for a replacement. For roof repairs and replacements, call a roofer with Legends Roofing at 214-321-3293. We work with quality roofing materials to ensure the safety and comfort of our residential customers. 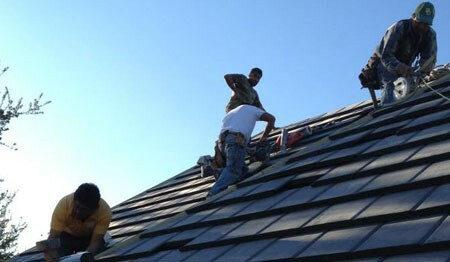 If you’re in the market for a new roofer in Dallas, TX, Legends Roofing provides dependable roof maintenance from roof repairs to roof replacements. Our comprehensive list of services offers maintenance for all part of the roofing system. 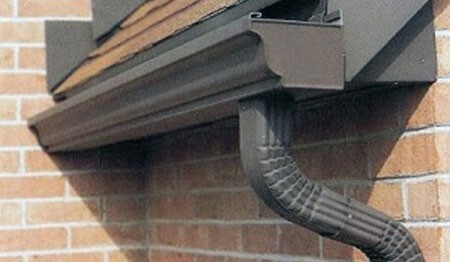 Gutter Replacement & Installation Perfect your roofing system with a new gutter installation or replacement. With an upgraded gutter replacement, you’ll be able to properly safeguard your foundation, you siding and more. Interior/Exterior Remodeling Let our designers and professional remodeling contractors help you with your new project today. A roofer with Legends Roofing can offer expert remodeling services with certified designers on staff and a professional contracting team. Roof Insurance Claims Our experts will contact your roofing insurance company for you to make a natural disaster or storm damage claim on your behalf. A professional roofer from Legends Roofing is happy to help you through your insurance claims process. Let your local roofer at Legends Roofing take care of finding the right roofing materials for your business. We like to work with durable roofing materials that can last business owners for decades. After years of experience in the field, a roofer at Legends Roofing know there is a certain roofing material out there for every type of business, whether you own a restaurant, a factory or a mall. Want to know more about specific roofing materials? Visit with a roofer at Legends Roofing today to discuss better roofing options for your business. Business owners need a reliable roofing company to care for the roof over their workplace. Hiring a roofer from Legends Roofing will ensure your employees are safe from the elements while saving you time and money. We’ll install durable roofing materials that are energy efficient and cost effective to save you money on initial roof installation and on your energy bills. With an expert roofer from our team, you’ll receive top notch roof care that includes regular maintenance and roof repair for your commercial roof. 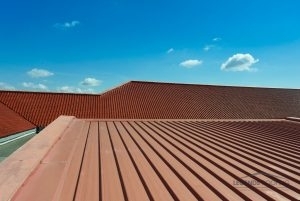 Call us today for commercial roofing services in your area. Roof Restoration Extend the life of your commercial roof with a professional restoration by a professional roofer at Legends Roofing. 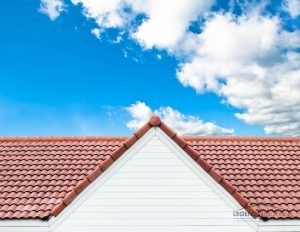 To experience the best out of your roof, we can provide you with a quality roof restoration that can save you money. Roof Coatings Adding a roof coating to your commercial roof will optimize energy efficiency for your business. With a new roof coating installed by a professional roofer, you’ll experience lower electricity bills and other benefits. Roof Replacement Our local roofers can help you find the perfect new roof for your business. Save money on future repairs and structural damage to your commercial property with a roof replacement. Did you know there are hundreds of different roofing materials that can be used for residential and commercial roofing? With multiple styles and materials, you can be sure your trusted roofer at Legends Roofing have the perfect roofing solution for your home or business. Our customers can experience a world of excellent roofing with our durable and long lasting roofing methods and materials. We’re certified and trained to repair, remove and replace all types of roofing for our customers. Speak with a professional roofer at Legends Roofing today about your roof replacements, repairs, and maintenance. We handle all types of roofing materials and give our residential and commercial customers various options for roofing installations and replacements. Working with our experts ensures you receive the proper roof care you need for your family and for your business. Call Legends Roofing at 214-321-3293 to hire a professional roofer in Dallas, TX. Updated on August 4, 2017 at 2:09 pm by Legends Roofing.